← Wow- 850 NEW ebook titles from Taylor and Francis now available! 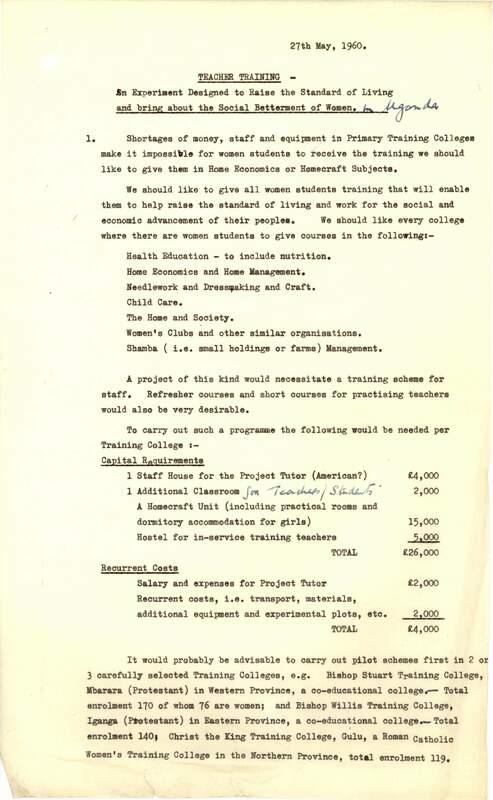 Whilst cataloguing the papers of L. J. Lewis, head of the IOE’s Colonial Department from 1958 to 1973, I came across this interesting document. This report proposes changes to the Ugandan education system for the broader social benefit of women. It is authored by an English colleague of Lewis’, Miss M. J. Buckerfield, who was working as a teacher in Kampala, Uganda at the time. She suggests improvements to the ways women teachers are trained and also calls for better facilities for primary and secondary schools to encourage improved female attendance. To make her case, she uses statistics, observation and practical experience, and also illustrates her findings with a case study of Gayaza High School. 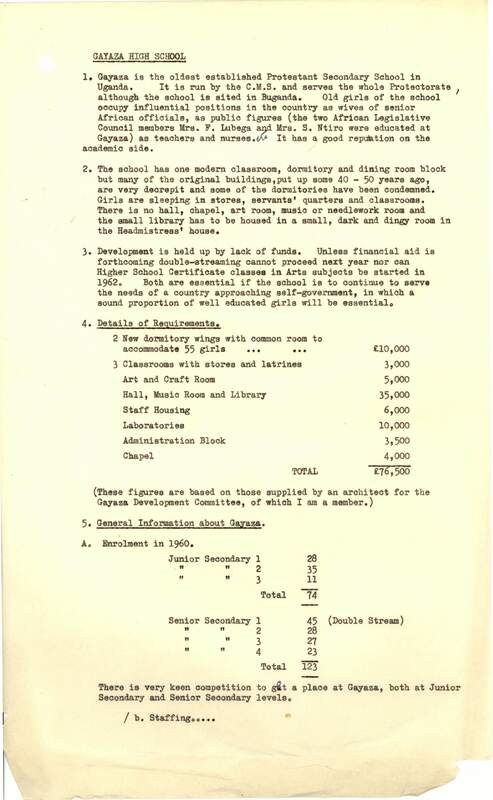 This report was sent to Lewis at the IOE, seeking his assistance. His reply was enthusiastic and he agrees to try and gain political and financial support for the project. 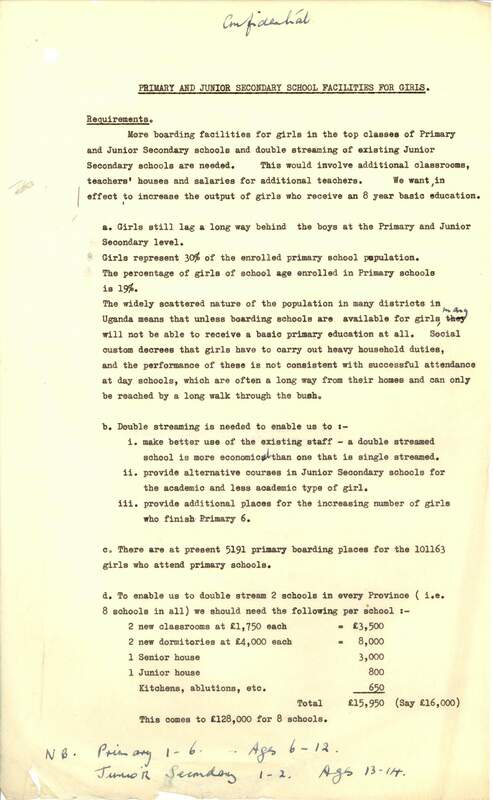 In general he was keen to encourage improvements to female education, and this was shown in the significantly increased attendance of female students within his department during his tenure (1). 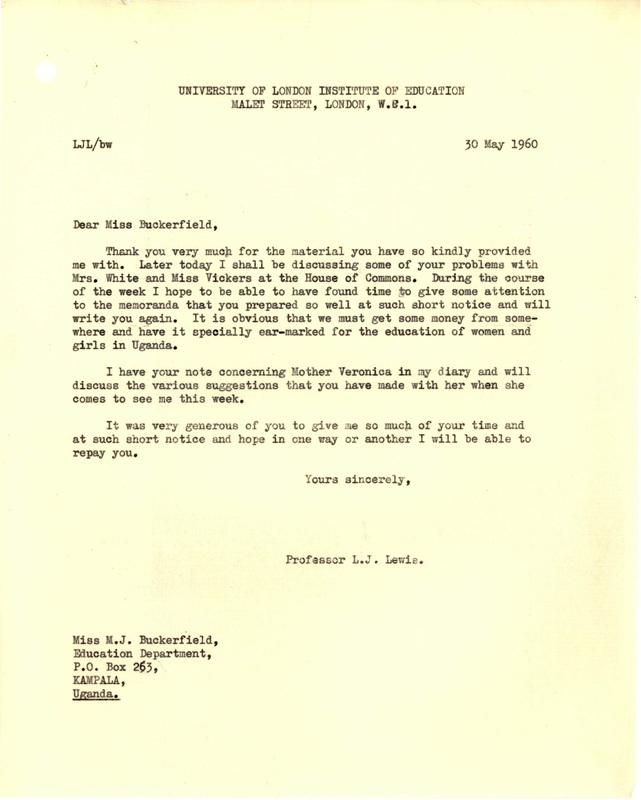 A few years later, Miss Buckerfield, resumes correspondence with Lewis, seeking a reference as she is planning to leave Uganda, afraid that if she stayed much longer she would pass ‘the point of no return’ in terms of employability as a teacher in England. 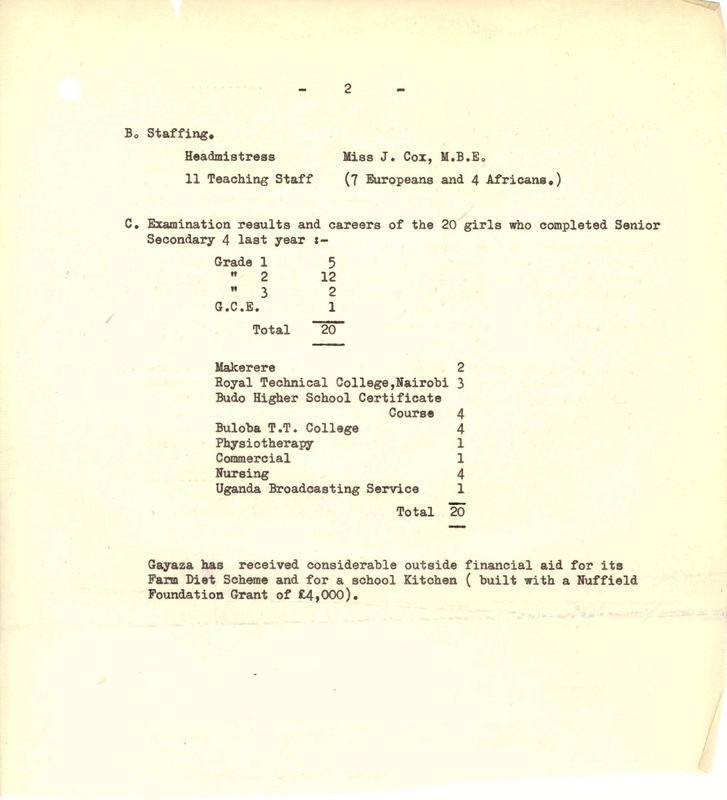 This is just a snapshot of the daily workings of the Colonial Department in this period, but offers a starting point from which to understand how the department operated, to begin to question the motives and attitudes connected to educational reform in Africa, and provides a perspective on the conditions in education and teacher training in Africa. 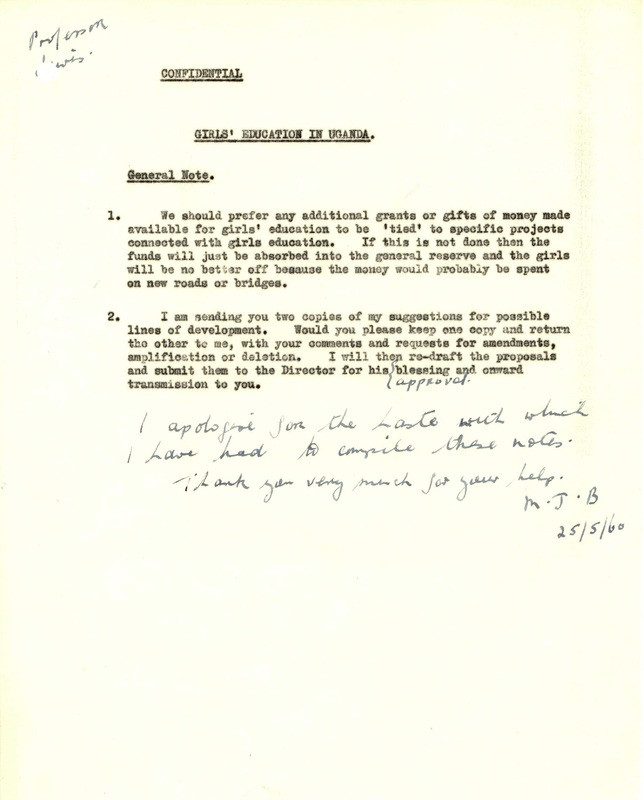 These materials are currently being catalogued (ref: IE/COL/37/16), but can be viewed by contacting the archives team at arch.enquiries@ioe.ac.uk. 1. Aldrich, Richard. 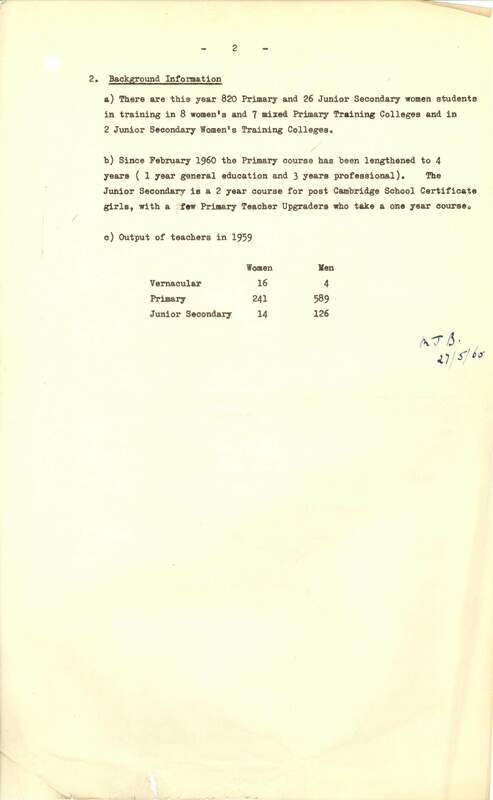 The Institute of Education, 1902-2002: A Centenary History (The Institute of Education, London: 2002), pp. 154-155.